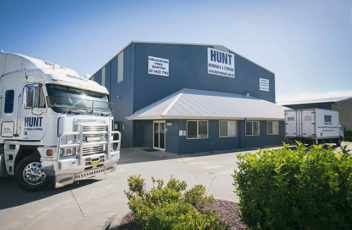 HUNTS Removals are currently seeking truck drivers / offsiders to fill positions within their Nowra business. The applicants must be fit, presentable, contactable, reliable, willing to work away and have experience driving Heavy Vehicles. They MUST be used to physically demanding work and have good communication skills. They must have either an MR, HR or HC licence. 1. Provide executive support as the first point of contact for the CEO and Deputy CEO. CEO’s diary, coordinating appointments, travel and producing agendas. administrative support to senior RA managers when required. staffers, officials and other senior stakeholders. 7. Secretarial responsibility for taking minutes at Board and other management meetings. background research on discussion papers as required. effective communication with all audiences. 1. 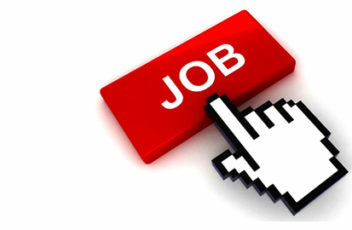 Demonstrated experience in an administration or executive assistant role. external stakeholders and drafting documentation. 5. Ability to work in a team environment. 6. Sound working knowledge of the Microsoft suite. 1. Experience in office administration. culture and issues affecting them. Australian Government Solicitor (AGS) is a group within the Attorney-General’s Department. It is one of Australia’s most significant national legal services providers with offices in every capital city and approximately 320 lawyers who cover some 40 different areas of law related to government. 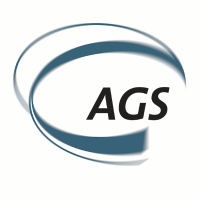 AGS provides legal services through 3 national practice areas: AGS Commercial, AGS Dispute Resolution and the Office of General Counsel. AGS Commercial has more than 60 lawyers around Australia who specialise in providing commercial and property related legal services. Our dynamic practice supports some of the Commonwealth’s most high-profile and complex national projects and our services range over large-scale procurements, tenders and contracts, probity and legal process, ICT projects, intellectual property, grants and funding, media and communications, environment and resources, construction and infrastructure projects and property and leasing. About the role AGS Commercial is seeking a motivated Lawyer to join the busy and dynamic Property team in Perth. This position is designated as Lawyer and classified as either APS Level 5 or APS Level 6 within the APS level 3-6 Broadband. The successful applicant will be expected to undertake the responsibilities set out in the Lawyer role description. The position would be most suitable for a person with at least 1-5 years’ post-admission experience. Candidates with experience outside that range will be considered if they are willing to undertake supervised work of a kind and at a salary appropriate to a less experienced solicitor. The successful candidate will have a genuine interest in fast paced property work, enjoy the challenge of delivering strategic and high quality services and be experienced in and adept at managing a high volume portfolio. • demonstrated ability to work under pressure and in urgent circumstances either alone or as a member of a team under supervision, and to take responsibility for matters and work with limited supervision. For further information about the requirements of the Lawyer position, please refer to the role description available on our recruitment portal. This is a full-time position and may be ongoing or non-ongoing (non-ongoing opportunities will be offered for up to 18 months as determined by business demands). The successful applicant will be covered by the Attorney-General’s Department Enterprise Agreement 2016. Salary will be negotiated based on skills and experience. To apply for this role you must be an Australian citizen. The successful applicant will be required to obtain and maintain a security clearance at the Baseline level (or higher if required). Applications close on 30 October 2017. Further information can be obtained by contacting Lee-Sai Choo, Senior Executive Lawyer on 08 9268 1137 or Adrienne North, Human Resources Business Partner on 03 9242 1465. Are you looking to start a rewarding career where you’ll have the opportunity to play a role in helping to shape the community you live in? Would you like flexible working arrangements? If the answer is yes, then apply now to join our Aboriginal and Torres Strait Islander Vocational Employment Program. >> provide workplace learning and individualised flexible training, development and support options. >> include a starting salary from approximately $45,000 per annum (full-time). 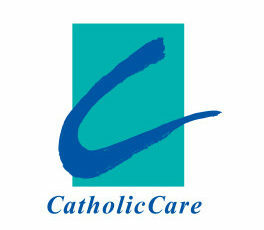 >> provide great working conditions in a large and inclusive workplace. >> permanent appointment upon .successful completion of the program. Habitat Personnel are hiring! We are looking for a Full-Time Client Support Officer to join our energetic Canberra Team based in Woden. Our Client Support Officers facilitate sustainable employment for Aboriginal and Torres Strait Islander jobseekers. Depending on work demands, our Client Support Officers either undertake a holistic role encompassing all Key Responsibility areas, or specialise in one of these areas as detailed below. The position reports directly to the VTEC Manager, and also takes direction from Business Support staff and the Managing Director as required. Habitat is a team-oriented workplace; all staff are expected to assist each other with peak workloads and major or one off projects. *”Aboriginal” includes Aboriginal and Torres Strait Islander. 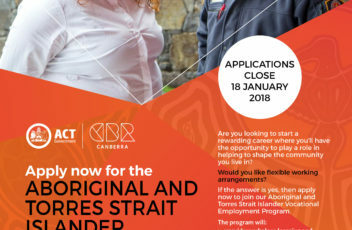 Habitat considers being of Aboriginal or Torres Strait Islander descent as a genuine occupational qualification under s14 of the NSW Anti-Discrimination Act 1977 and s42 of the ACT Discrimination Act 1991. Written applications are required by 9am Monday 19th June 2017, either by email to mark@habitatpersonnel.org.au or by post to 3/31-37 Townshend Street Phillip ACT 2606. For any enquiries please contact Mark Farrow, A/ VTEC Manager on 02 6285 2422 or by email mark@habitatpersonnel.org.au.